Perfect choice for: Dry, inconsistent, misbehaving curls and waves in need of some serious structure. 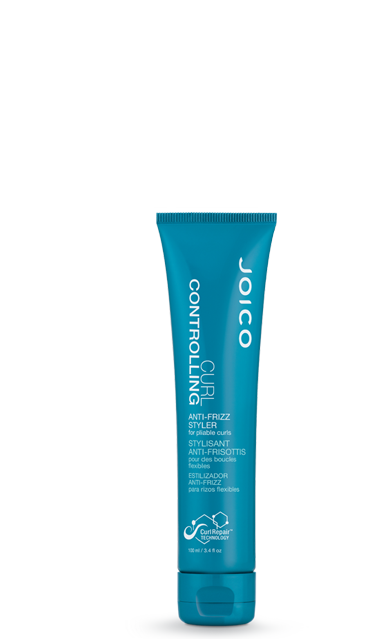 Here’s how: Dab a bit of Styler into your hands, emulsifying the product, then apply to fully wet hair, starting at the bottom of each curl and working your way up. Air dry or diffuse hair gently, on a low-heat setting. The inside secret: Our three-pronged approach includes Triple-Oil Complex – a super-nourishing combination of Avocado, Babassu, and Camelina Oils to help inject deep moisture into each curl; AquaLastik, a cutting-edge thermal protector that uses flexible resins and deep-sea minerals to enhance curl memory and control frizz; and Bio-Advanced Peptide Complex, proven to repair damage and deliver round-the-clock repair.